International Conference on the Inklings: Welcome to the "I International Conference on the Inklings: Fantasy and National Discourse"
Welcome to the "I International Conference on the Inklings: Fantasy and National Discourse"
The study of the fantastic in literature has frequently been relegated to a secondary position within the field of academic research in Spain. This conference aims to break certain taboos and highlight the intrinsic literary, social and cultural qualities of such literature. 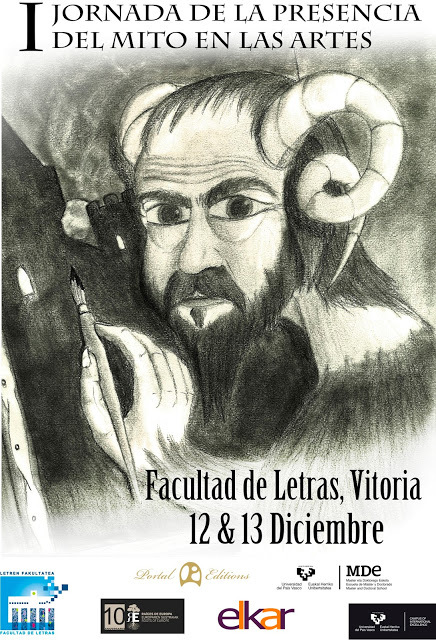 In particular, we seek to elucidate the significance and influence of the literature written by the Inklings (J.R.R. Tolkien, C.S. Lewis and Charles Williams, among others). The thematic scope of this first edition will revolve around national discourse in the works of the Inklings and other related writers, comparing and contrasting different standpoints and critical approaches. 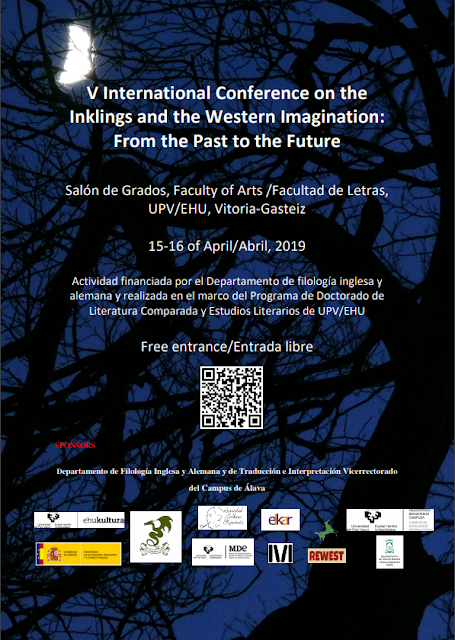 The conference includes plenary sessions, round-table discussions, panels with papers, screenings of films, book presentations and a guided tour to the medieval Gothic city of Vitoria. 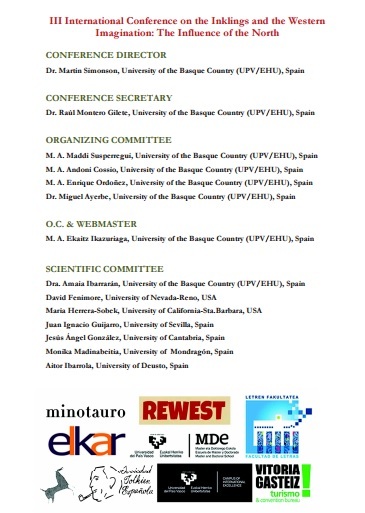 Keynote speakers include renowned international specialists in the field such as Dr. Nick Groom (University of Exeter), Dr. Thomas Honegger (Friedrich-Schiller University, Jena), Dr. Eduardo Segura (University of Granada) and Dr. Miguel Ayerbe (University of the Basque Country). Welcome then and feel free to participate, submit any comments you have: feedback would be greatly appreciated. First day at the conference.